connect with their patients and grow their practice. creating a dynamic patient experience; strengthening the relationships between PTs and patients; and increasing profitability. In Hand Health helps you achieve all three! Building relationships. Driving revenue. Growing your practice. We put the heart of your business at the heart of ours. 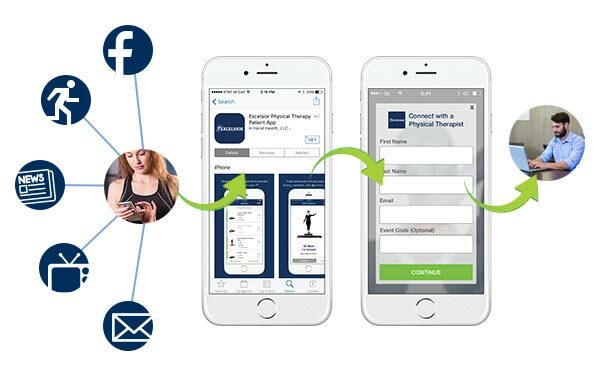 Our platform is customizable to your practice, allowing you to deliver an app that is branded to your clinic name, logo, and colors. Our lead generation system helps you capitalize on marketing campaigns. Our integrated eCommerce framework monetizes your services (concierge plans, wellness programs, etc). 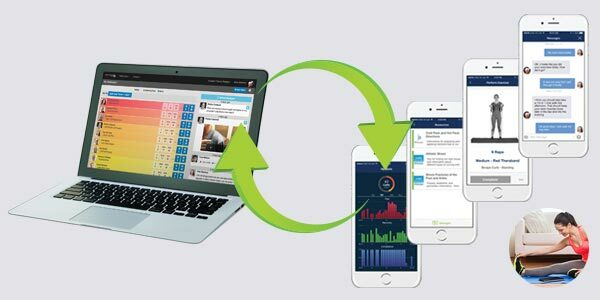 We provide a unique telehealth solution for capturing your clinic's exercise content and communicating with patients between sessions. Deliver care plans and securely communicate with patients on their smartphones and tablets. 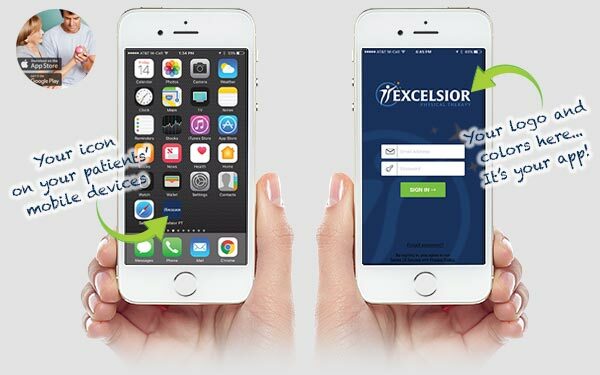 Elevate your brand with your practice's own app in the Apple App Store and Google Play. Generate new patient leads! Use downloads of your app as the call to action in your marketing campaigns (e.g. event sponsorships, Facebook ads, email campaigns, print ads, etc.). Leads appear in your In Hand Health account for follow up. It's turnkey! Accelerate your practice's growth and build revenues! 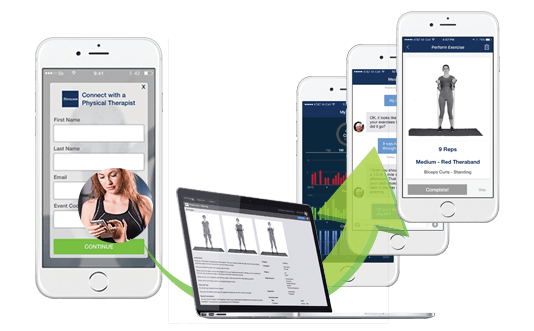 Our solution extends your practice's brand and expertise to new leads and current patients through the app on their mobile devices. From simple secure messaging to advanced HEP compliance monitoring, our solution enables you to use asynchronous telehealth at any level that fits your practice. "At CORE Strategies PT, we have been utilizing In Hand Health to provide a way for better communication with our patients in between visits. Patients appreciate that they can message their therapist with questions or concerns. From a business, In Hand Health allows us to provide a consistent message with our patients and improve patient buy-in with a quality product. The business application allows us to tailor our message directly to our consumers and has been a way to reach out to new consumers as well. We highly recommend In Hand Health." Don't wait! Put the latest technology to work at your practice!